The Yuba City treated effluent outfall pipeline beneath the Feather River failed suddenly on January 30, 2012. The main channel had migrated and scoured down to the existing 30-inch pipeline. The uncontrolled release of effluent created an urgent situation. The City assembled a team of City design and O&M staff, consultants, and contractors. Intense working meetings with all the right people in the same room were followed by e-mail and telephone clarifications, to work out the design details. 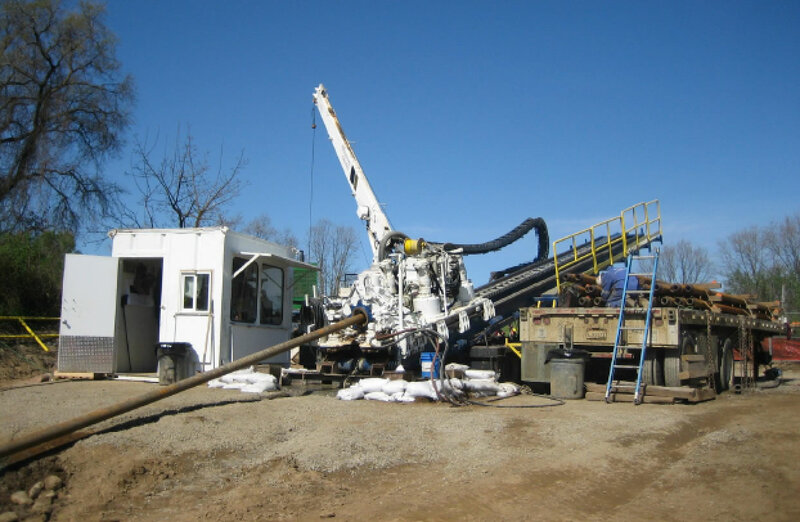 The geotechnical consultant completed the first three borings by February 17. The borings indicated the soils in the upper 50 feet were dense sand and stiff silt, underlain by dense gravels. The bore profile was designed to avoid the dense gravels, while providing sufficient clearance beneath the river channel to avoid exposure from scour and erosion and minimize hydrofracture risk. The HDD design was completed February 23rd. The Contractor mobilized as the design was prepared. Site grading, surveying, and measures to protect sensitive features were quickly completed. Permitting and regulatory review agencies were extremely cooperative. The HDD Company completed the 1,050-foot pilot bore in two days. Reaming was accomplished in one pass to 54-inches in two days, and pullback of the 30-inch DR 11 HDPE was completed a day later. Total duration of the project from design to construction was 101 days. Keys to the success were the City’s ability to assemble the right team, quickly reach decisions, and the City Council’s trust in its staff.